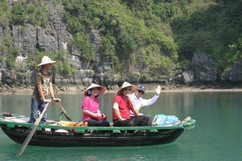 Designed and based on an idea of ancient boat which used to be a cruiser for King to do sightseeing on Ha Long bay. 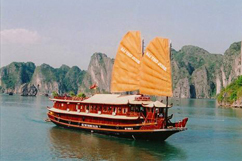 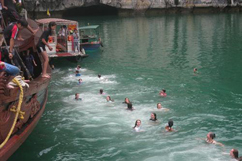 The Ha Long Sails is combined between with its harmony and traditional beauty of the oriental boat and its modern facilities, amenities furnished on boat. 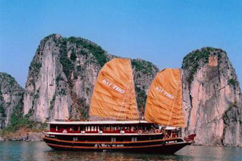 The harmony combination of modern facilities and the natural valuable wood make our Halong Sails’ Cabin be very warm and comfortable. 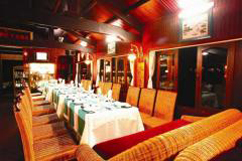 Cabin’s decoration is very simple but sense. 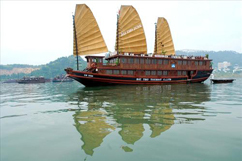 Large window in each cabin gives you a lovely chance to view Halong’s beauty from your own way with your loved one. 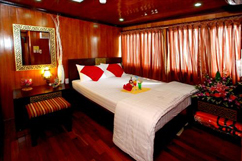 Further more; deluxe cotton bedding, modern facilities and amenities will make you feel as your sweet home with very sweet & romantic night on Halong Sails. 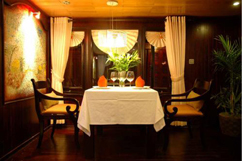 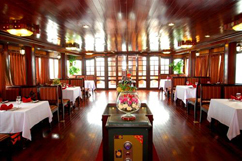 The highlight of Halong Sails is cozy and spacious restaurant with concept of simplicity but elegance and comfortableness where you will experience very fresh Halong sea food cooked by our very talent Halong Sails’ chef. 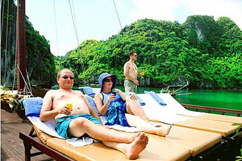 Further, you can have a chance to enjoy coffee or cocktails with your love or friends at our bar while experiencing the magical natural beauty of Halong bay.